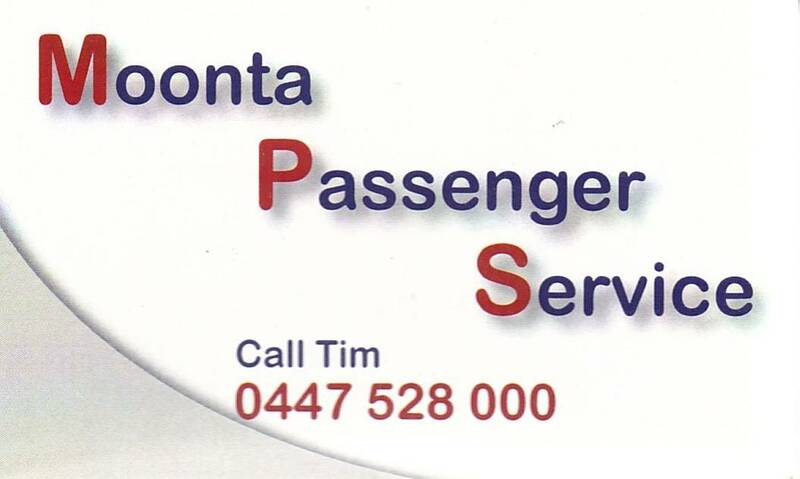 Moonta Passenger & Taxi Service operates 24/7 servicing Moonta, Moonta Bay, Moonta Mines, Port Hughes, North Yelta, Wallaroo, Kadina and all surrounding towns including trips to Adelaide and Adelaide Airport. We have modern vehicles with either male or female drivers. If you are looking to go out for dinner or to go to the local hotel or even catch up with friends at a party, give Moonta Passenger & Taxi Service a call. We can give you an immediate cost of service prior to pickup. We pride ourselves on good old fashioned courteous service.